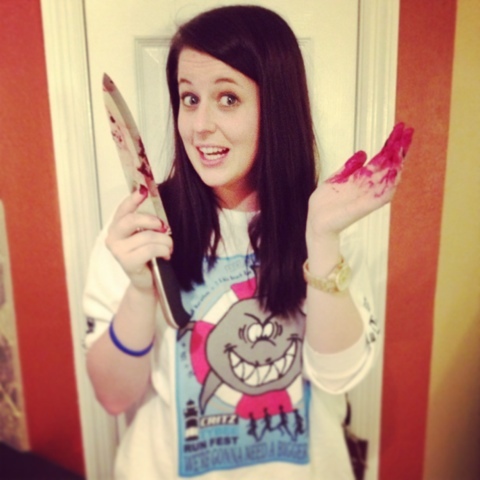 Brandi Nell the Southern Belle: Beet It! Beet It! 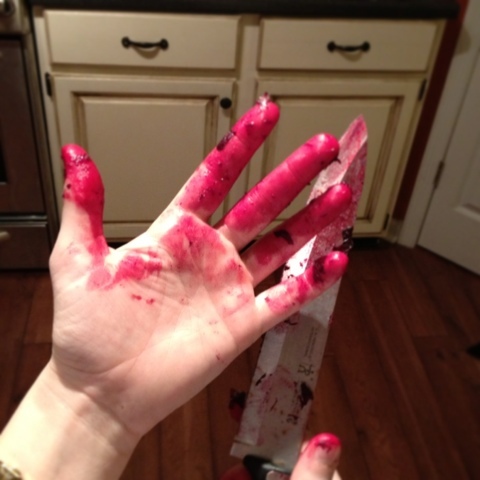 I have to tell you, I have a new obsession... beets. I recently tried them at a restaurant and was instantly smitten. Yes, that's the only way to describe my feelings for these veggies... smitten. 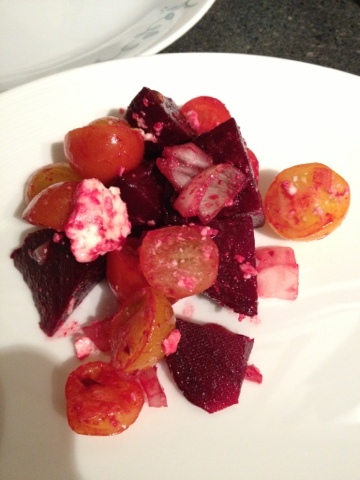 Tonight, I introduced Hubs to my new fave, beet and tomato salad. 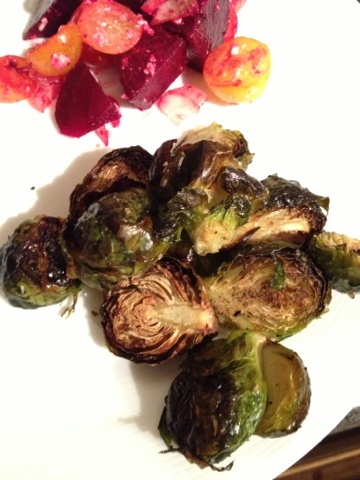 First, I tossed the beets in olive oil and a little salt and pepper. 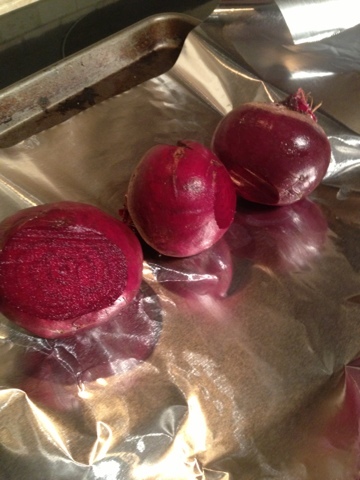 Then I roasted the beets at 400 degrees for 40 minutes. Once they are done roasting, I let them cool for a few minutes, then peeled the skin off and cut them into cubes. I add in a few red and golden cherry tomatoes, onions, olive oil, salt & pepper, and feta cheese. I cannot describe how delicious I find this salad. Even hubs was raving over it. I served the salad along side some roasted brussel sprouts. These are a recent discovery too. And yes, I like them charred. I'll share that recipe later. 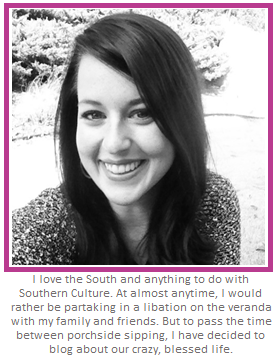 I'm pretty much smitten with them as well. Hope you guys have a fantastic week! Talk soon.